Home / Bass Bits for the Brave / Surprise your Family with a Christmas Song Solo Bass Style! Enjoy my solo bass rendition of my favorite Christmas song which also happens to have been written by a fellow Austrian. Want to learn how to play it? If you are afraid to get your fingers in a pretzel in the above version, learn an easy version! Easy Version Tutorial starts at 18:02! And if you liked this and are tackling it – I’d love it if you sent me a video or audio recording of yourself playing it! You can also post it right here into the comments, too! I wish for your Holidays to be filled with music, family and love! 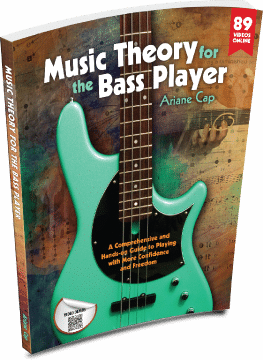 PS: Also, check out my Truefire Pentatonic Playground DVD, it makes for the perfect gift for the bass players in your life (including yourself!). Truefire is running all sorts of specials right now. Make sure to visit! Ari, this is an excellent concept. Looking forward to Silent-Night solo. Cheers! Thank you for commenting, Makejoyfulsound! I am excited for it to go live and also the tutorials I made for Truefire! Ari, Beautiful arrangement! I can’t wait to see the tutorials for this arrangement. Thank you for listening and commenting, Kevin! Happy you like it and happy Holidays! Ari, I love this and can’t wait to learn to play it myself (although I suspect the simpler version may be more my speeed). Do you have any idea when it’s going live on TrueFire? I’m a bit worried I may have missed it already. Scott it is live! I will update this post too! Will upload the PDF’s in the post above.